The national title game was one of controversy. 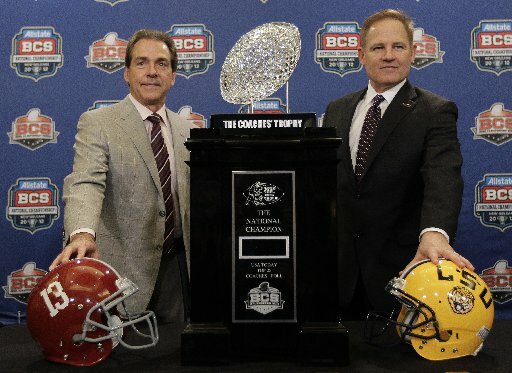 LSU finished the season undefeated and was clearly deserving of the #1 ranking and automatic bid to the BCS title game. On the way, they defeated impressive opponents, including Oregon (40-27), West Virginia (47-21), Florida (41-11), Auburn (45-10), Alabama (9-6), Arkansas (41-17) and Georgia (42-10). They possess the #2 ranked defense in the nation. The debate then popped up between Alabama and Oklahoma State. As I highlighted in a previous blog, Alabama certainly was deserving of their title bid, due to their #1 ranked defense and only loss in overtime against LSU. In the first meeting between the two teams, Alabama was held to under 100 yards rushing and turned the ball over twice. They missed 4 field goals and still were able to force overtime because of their defense. LSU was held under 100 yards passing and also committed two turnovers. The game was truly a game between two stout defenses. The teams were fairly even across the board and the final field goal in overtime sealed the deal for LSU. The game served a number of results. Jarrett Lee’s two interceptions led to his eventual benching for Jordan Jefferson. The loss pushed Alabama down to the solid second in the nation, but still ahead of Oklahoma State. A buzz was created to potentially see the teams match up again in the national title game. Well, it happened. Alabama and LSU went on to continue their winning ways. Though the Tide did not get to play in their conference championship game, their status as the stingy defense and the one close loss helped give them the push to the bid. There was a feeling that the nation may actually see a touchdown, but the two defenses were not going to let it happen. In the first half, LSU could not get anything going. Jordan Jefferson and his offense had a measly total of 33 yards, but the defense was able to keep Alabama to only field goals. 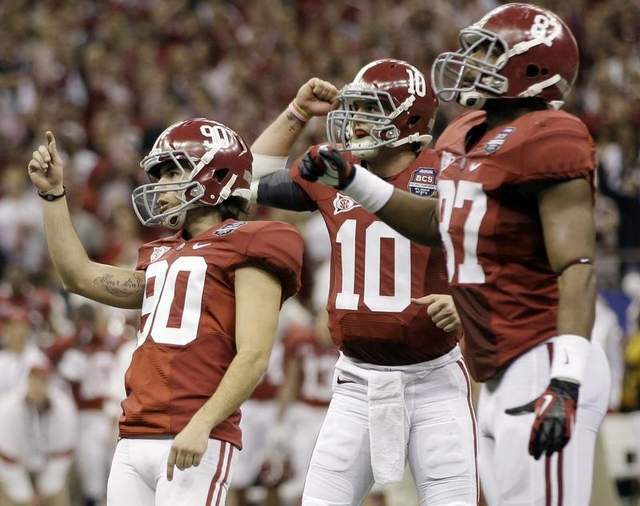 On the other side, the Crimson Tide were able to get 230 yards, mostly from the play of AJ McCarron. 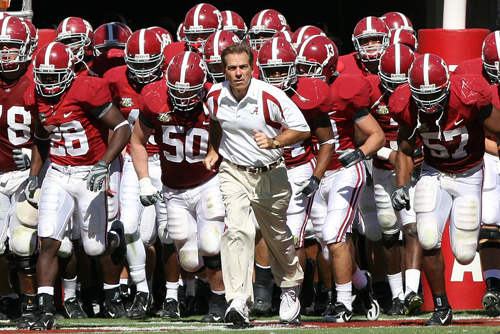 Oddly enough, Nick Saban kept using Eddie Lacy instead of Trent Richardson in the running game. Ending the half at 9-0 in favor of Alabama left many stunned by the lack of scoring offense. Saving LSU for the time being was a blocked field goal, something to try to build some momentum around. The second half looked very similar to the defensive battle of the first. Though Alabama was able to extend the lead slightly with a field goal in the third, they also watched Jeremy Shelley miss his second field goal (kicking wide right). LSU started to get a little more offense going but still, after three quarters, could not cross the 50-yard line. 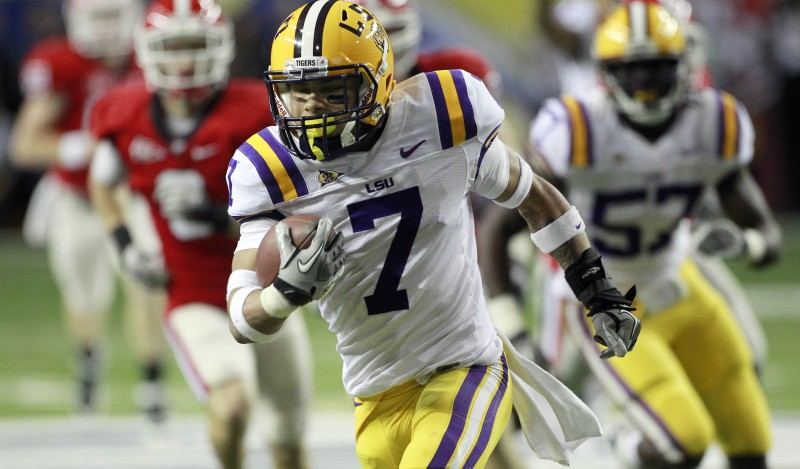 The fans began to chant for Jarrett Lee to replace Jefferson after the careless interception on the shovel pass, but Les Miles continued to stick with his starter. It was not until the fourth quarter before a touchdown was scored. After recovering a fumble on an LSU fourth down attempt, Trent Richardson finally found a burst of speed and dashed for a 34-yard score. The missed extra point left the score at 21-0 and that is where the game ended. Jefferson remained on the field for the last LSU drive, and Les Miles watched his team punt the ball, sealing the first shutout in BCS Championship history. The game may not have seen the offensive production that both teams exhibited during the regular season. LSU may have lacked the energy to compete with the determination of Alabama to get their revenge for the heartbreaking loss in November. 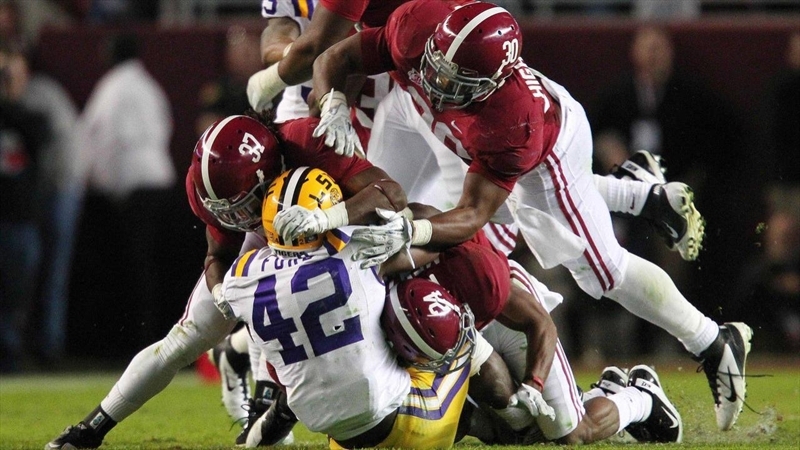 Alabama may not have seen Richardson dominate the opposing defense. In the end, the game concluded with a historic victory for the Crimson Tide and a devastating loss for the Tigers. As another college football season comes to a close, I will turn my attention to what looks to be an exciting conclusion to the NFL postseason, including the continued quest of Tebow and Broncos, and an exciting conference season with NCAA basketball. Congratulations to the Alabama Crimson Tide! You hung in there and pulled off an impressive performance against a challenging conference rival.